Obituary for Betty M. Shields | Robert L. Snyder Funeral Home and Crematory Inc.
Betty M. Shields, Fredonia passed away Saturday afternoon, October 27, 2018 at the Orchard Manor, Grove City. She was 91. Betty was born in Butler County on August 25, 1927 a daughter of the late John Francis and Dora (Barnhart) Shields. Betty loved riding the bus and attending the Adult Daycare at the Shenango Valley Senior Center in Hermitage She always made it a point to let everyone know how much she enjoyed riding the bus and how much fun it was. The family extends their deep gratitude to the Senior Center for all the love and care they showed to her, also to the staff of Greystone Country Estates, Fredonia and the Orchard Manor, Grove City for their excellent care and concern. Anyone who knew “Aunt Betty” loved her. 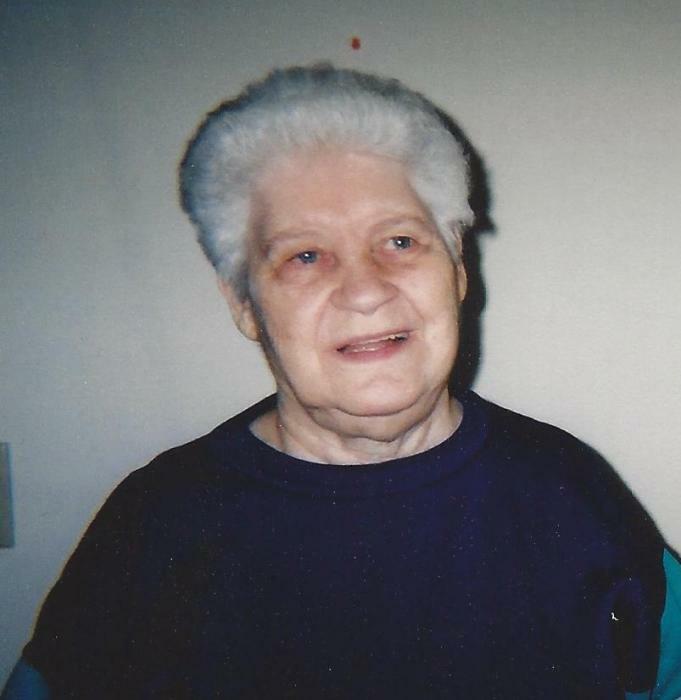 She always had a smile on her face, and loved puzzles and music. She enjoyed wearing jewelry, in fact, many days she’d wear numerous necklaces, bracelets and rings on every finger! She will be missed by all who knew her, but especially by her niece, “Punkin” Ellis and her husband Paul whom she had previously made her home with in Fredonia. She was a member of the Fredonia United Methodist Church. Betty was preceded in death by her parents, 4 sisters, Mary Urey, Olive Thompson, Esther Redmond and Margaret Adams; 2 brothers, Earl and Clarence Shields. Per family wishes there will be no visitation or service.